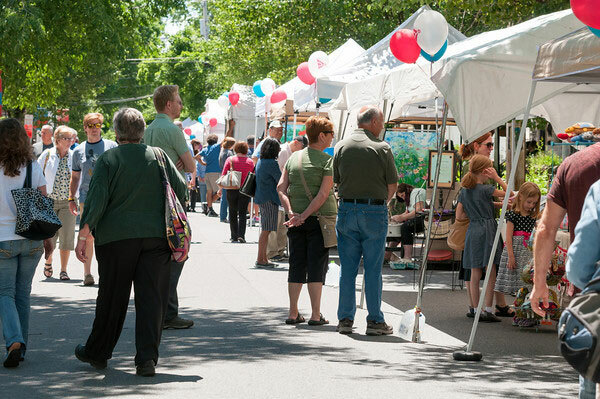 The 7th Annual Beekman St Art Fair is set for Sunday June 9, 2019 from 10 am till 5 pm. Over 50 juried fine artists and craft artists will set up individual tents on Beekman, which will be closed to traffic from Grand Ave to West Circular. Enjoy musical performances throughout the Arts District, a Children’s Art Tent, a Makers’ Tent, strolling street performers, and gourmet food trucks. Stop in to see the new shops and galleries on Beekman. Sample show specials and ‘after the fair’ entertainment at the restaurants and clubs in the neighborhood. Make a day of it and join us rain or shine for a fun and inspiring day on Beekman Street! Website development and hosting courtesy of Arts Spark – Helping you with the business of being an artist.